The mega-popular bodysuit gets a makeover for new season and we’re finally ready to reveal the result. Cut to the same shape-defining fit, it’s the all-new ruffle collar and drawstring detail that truly sets this style apart from the pack. 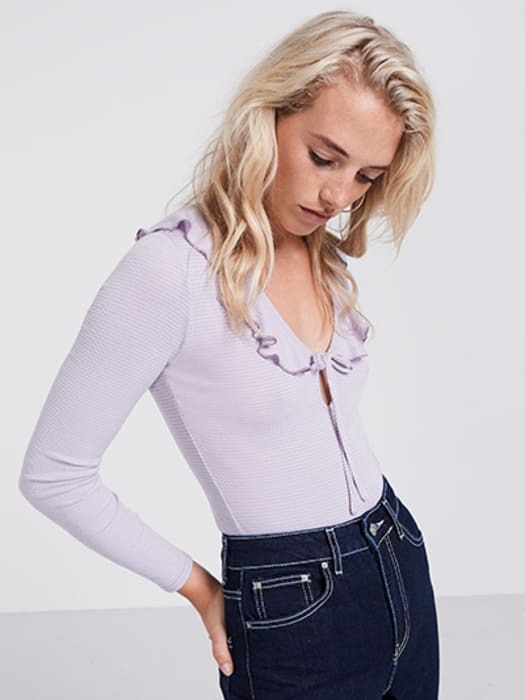 As for that trending lilac tone, just add denim.